﻿ How to do Mercedes key programming in a fatest way? How to do Mercedes key programming in a fatest way? 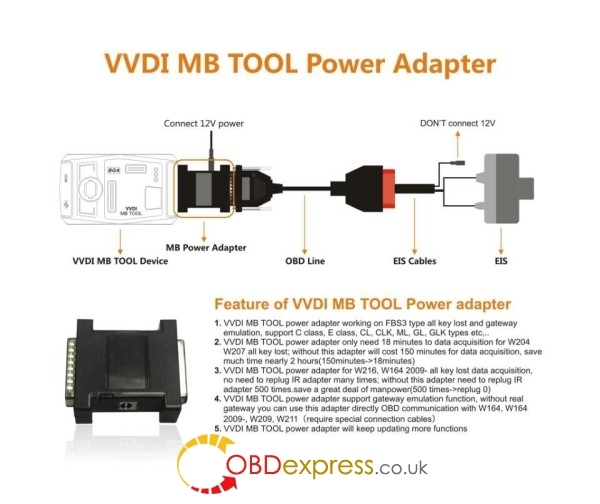 VVDI MB BGA TOOL Power Adapter is a new tool, released for working for Mercedes all key lost with vvdi mb tool. It will hep MB key programming as FAST & CONVENIENT as possible!! VVDI MB BGA TOOL power adapter working on FBS3 type all key lost and gateway emulation, support C class, E class, CL, CLK, ML, GL, GLK types etc. VVDI MB TOOL power adapter will keep updating for more functions.